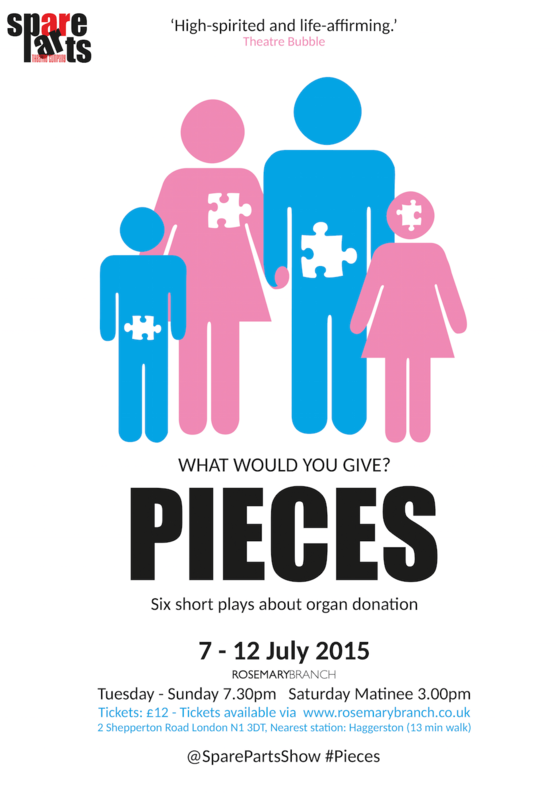 It’s a series of six short plays about different types of organ donation. Last year Spare Parts Theatre Company took a show to Edinburgh about Kidney Donation, this time around we wanted widen the remit to heart, lungs, cornea, liver as well as kidney and look at it from a doner’s perspective as well. We want to tell these stories as honestly but as theatrically as possible: the first piece is about a back seat taxi driver who is on his way for a cornea transplant chewing the ear off the driver in the front for example. The second is more commedia dell’arte and a man arguing with a hallucination, the third is realist, a man in AA who has turned up drunk because he wants to speak, but doesn’t know how without alcohol, another is about a father who desperately seeks to find the words as a child learns to spell them. Around all this, we have Jay, who carries all these different stories in suitcase. He is a mute clown story teller, who goes from town to town telling these stories. It is the only time he comes to life.Yet everytime Jay takes a story out and performs it, the suitcase becomes heavier with the weight of that story. Also, he is the answer. That idea fascinates me, putting someone onstage who has all the things in their body to help everyone- that there’s enough organs to go round for everyone. I’ve had two liver transplants and I know a lot of people who have had more than one transplant. But this is not about charting medical journeys. We gave a brief to the writers to go away and find out as much as they can and then we decided what we would keep in: it is not a ‘how to’ on transplantation, but on how it feels. There are not going to be other plays in Edinburgh that are about organ donation. But every time Spare Parts does a show about it, it always has a huge affect on people who have been through similar experiences, because we are the only ones who are telling their stories. It’s really important to be able say that there are people listening and that your voice can be heard. And for people who don’t know anything, at least you are going to have to ask yourself, what do I want to do with my organs once I am gone? It is a question that a majority of people don’t ask themselves. Why don’t people think about organ donation very much? There’s a sort of symbolism associated with it. When it comes to eyes for instance, most people think, oh they’ll give anything else, but not their eyes, because it’s how we understand things and see the world. I don’t think we understand that after death we lose sight, yet all conceptions of an after life have an idea of us sighted and being able to experience, and so the thought of losing our eyes is very scary. Also, people are worried about who their organs are going to go to, if they are going to go to someone they see as deserving. With a lot of people there is a moral question about organ donation. Our AA piece is about some of these issues. The man is at an AA meeting to prove he does not drink so he can be considered for a transplant. Also, the connotations people make in their heads are not necessarily fair. The heart for example, can be a symbol of so much, as opposed to the kidney. One story looks at how one little boy has to understand the difference between the heart as a symbol for love and its practical use, which is to act as pump. There can also be a sense of guilt too. When my kidney failed I felt guilty, but it was nothing to do with me. People seem to feel ashamed when something stops working in their body, or embarrassed. Where next for Spare Parts and Pieces? 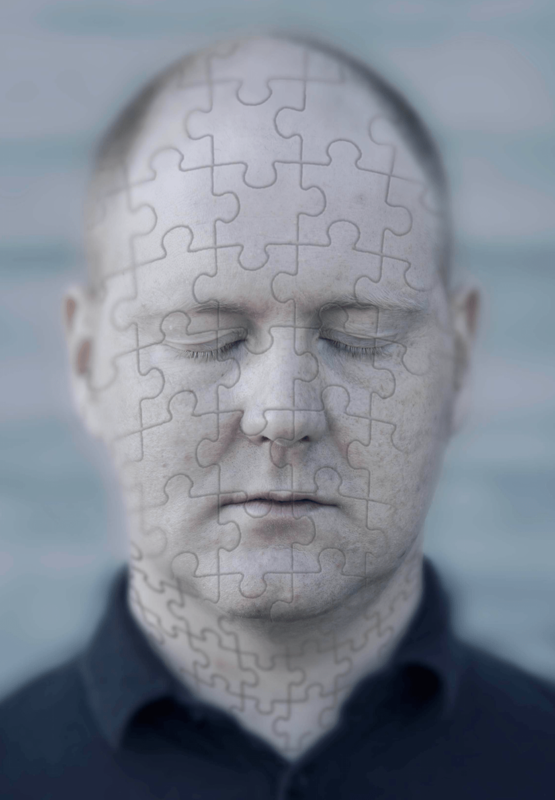 Pieces doesn’t seem like a play that can be performed in hospitals because they are such transitory places. But we have been talking to Breathe Arts about doing some workshops. We are the only theatre company doing work about organ donation and transplantation and we hope to show Pieces again in September for National Transplant Week. In Edinburgh the show will be free but donations are welcome for the six transplant and donation charities we are working with and want to give money to.